Janet leaves A&M Records and signs a 32 $ millions deal with Virgin Records! Randy is charged with beating his wife, Eliza as well as their 14-month-old daughter, Stevanna. He pleads no contest to the battery charge. Janet attends the NAACP Image Awards with Katherine where she presents an award to Terry Lewis & Jimmy Jam. Janet wins three American Music Awards. She is on the cover of Jet Magazine. Michael records the song Dangerous. The single Do The Bart Man produced by Bryan Loren and featuring background vocals by Michael is released. “State Of The World” is released as the 8th & final single from “Rhythm Nation 1814” (only in Australia, Japan & South Africa). Janet is presented with the Humanitarian Of The Year Award by the Starlight Foundation. Michael & Madonna go dining together at the Ivy restaurant in Los Angeles . Michael & Madonna attend the Academy Awards ceremony together. The title of Michael’ new album is revealed to be Dangerous. Janet & Rene secretly tie the knot and move in a beach house in Malibu . Michael organises a seat chimp party to raise money for Jane Goodall’s ape research institute. Michael & Madonna go to the Spago restaurant in Los Angeles . Michael offers to do a duet with her on the song In The Closet but she refuses. Michael pays for the funerals of David Ruffin, a member of The Temptations. Michael is co-chairman of a Stevie Wonder presentation of the Nelson Mandela Award. The tabloids publish stolen pictures of a photo session of Michael by Herb Ritts. 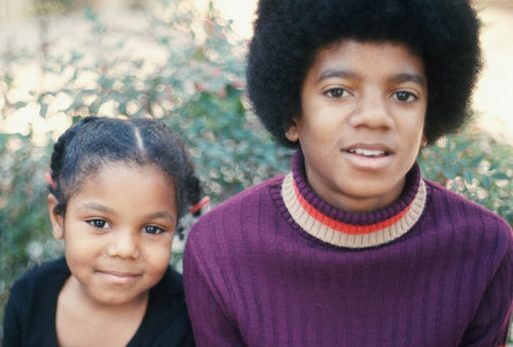 Michael enlists the help of producers L.A Reid & Babyface which deeply upsets Jermaine who is also working with them. Michael visits the island of Bermuda with Home Alone star, Macauley Culkin & his family. Michael & Macauley go scuba diving. New surfaces of Michael first movie for Colombia Picture Entertainment, a science fiction musical extravaganza named MidKnight. Michael & Emmanuel Lewis visit the Community Youth Sports & Arts Foundation Center in Los Angeles . The media report that Steven Spielberg has invited Michael to make a cameo appearance in his new film Hook, based on the book Peter Pan. Michael invites the Jackson family in Neverland to celebrate the first ever Joe Jackson Day. 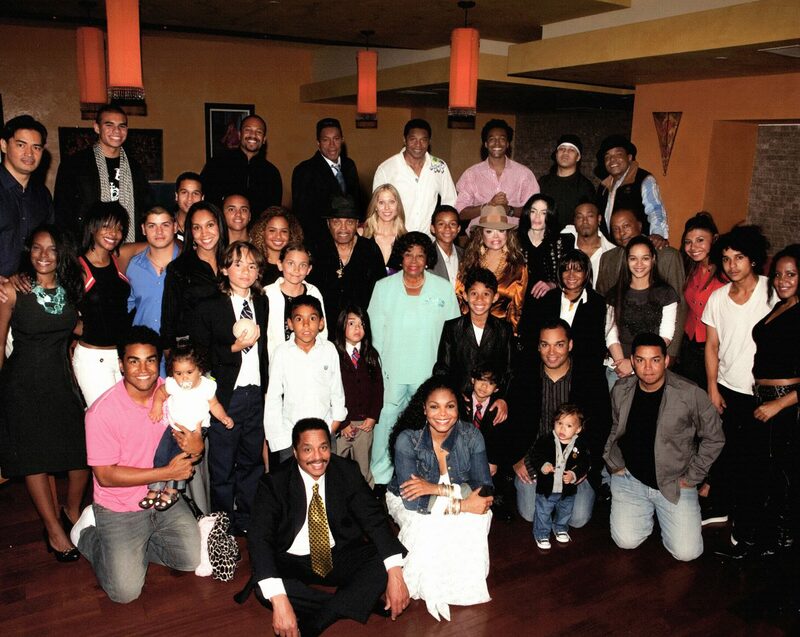 Katherine, Joe, Rebbie, Jackie, Tito, Jermaine & Janet and the grandchildren attend the event. Later at Hayvenhurst, Joe receives his present from Janet & Michael : A boat! Michael goes to Disneyland with a young friend. Macauley Culkin spends his 11th birthday in Neverland with all his family & Michael. LaToya’s 7th studio album titled “No Relations” is released by Pump Records (Warner). Jermaine, Margaret and their children move back to Hayvenhurst in Janet & Latoya’s rooms. Michael lends his voice to a character of the cartoon The Simpsons. Michael, Elizabeth & Larry are on the cover of People magazine. Michael & Bruce Swedien complete the mixing of the Dangerous album in Los Angeles. Latoya is in Paris to work on the French version of her autobiography titled “Jackson Story”. She gives interviews to Europe 1, Paris Match and Le Parisien. Thirty seconds ads directed by David Lynch begin airing on TV to promote the for the forthcoming release of Dangerous. Randy is arrested after Eliza phones the police to report that the beatings have not stopped. Randy is sentenced to one month in jail, two years’ probation, and ordered to enroll in a domestic violence rehabilitation program. Eliza files for divorce and custody of Steveanna. Katherine, Joe, Rebbie & Jermaine give a press conference in Paris. Black Or White, the first single from the Dangerous album is unofficially leaked to US radio stations while Michael is on the cover of TV Guide. The same day, an unofficial version of Jermaine’s new single Word To The Badd is also leaked to the same radios. In the song, Jermaine openly attacks Michael. Michael begins filiming the video of Remember The Time in Los Angeles directed by John Singleton and featuring Eddie Murphy, Iman & Magic Johnson. Black Or White is officially premiered to radio stations all around the world while a thirty seconds commercial directed by David Lynch begins airing on TV to promote the forthcoming release of Dangerous. The single of Black Or White is officially released. Katherine, Joe, Rebbie & Jermaine are guests on French TV Show Sacrée Soirée where they claim LaToya was brainwashed by Jack Gordon. The Black Or White video is premiered in 27 countries around the world by almost 500 million viewers! The 11 minutes short film was directed by John Landis and features Macauley Culkin, Brandi Jackson, George Wendt, Heavy D, Wade Robson, Bart & Omer Simpson. Following the controversy over the last part of the Black Or White Video, Michael issues a statement and decides to edit his video. Michael performs Black Or White & Will You Be There at the taping of the MTV’s 10th Anniversary Special to be aired on November 27TH. Michael & Brooke Schields go out for dinner at the Inn Of The Seventh Ray Restaurant in Malibu . Michael sends a video-taped message to the London listening party Of Dangerous. The album Dangerous is released in Europe . Live from Las Vegas, LaToya appears on French TV Show Sacrée Soirée to refute the claims from her family. Michael appears on the cover of Entertainment Tonight. Michael is given a private visit to the Guinness World Of Records Museum.